I hope you had a blessed weekend. I HOPE YOUR WEEKEND WAS THIS GREAT! After preparing for the transformation all week, we finally kicked off our workshop on Saturday and by the time I got home, I had some salad and chicken (covered in BBQ sauce naturally) and passed out. Sunday, I took it easy with some nice lifting, hit three different grocery stores with my girlfriend to get plenty of healthy food for the week. Trader Jo’s greek yogurt is actually very well priced and has about one gram less of Fagi yogurt, I’m not sure how this compares if you have a Cosco membership, you might be better off with their large container. A FAST HEALTHY SNACK- SQUID! 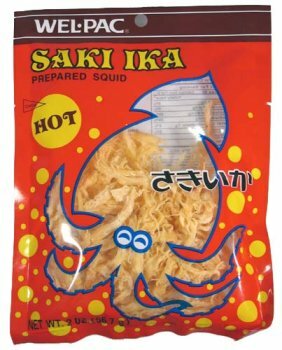 Dried Squid, like eating fish on the go! At the kick off someone asked about quick snacks you don’t have to put in the fridge. Ostrich stick was one that came up if you’re tired of crunching on protein bars or they don’t sit well with you.Dried Squid was something I found at the asian market, I’ve had this before as a kid and it’s pretty sweet, it does have some sugar in it but it has no fat and is fairly high in protein at 7g per serving. Someone at our seminar said they couldn’t live without pasta but it was just pure badness for you. Yes, pure badness. Sometimes, you know you’re going to eat some noodles, so what cha gonna do? I like EGG NOODLES at 22G of Protein per serving they come in different textures, used mostly in Asian dishes I think you could surprise yourself with a nice stir fry on a night you’re craving some carbs and don’t want to totally explode from wheat pasta. The noodles I got where from the Asian Market, I noticed for some reason the American Pasta’s have less protein. They also go great in making your own soup, IE think PHO, just add some extra eggs and some chicken to spike the protein with tons of veggies. MMMNNNN. Stretching and breaking are two different things aren’t they? I had a client who’s schedule was difficult, being married, having a job that finishes later and on top of that running events like boy scouts we looked at the best scenario plan.He could work out twice a day, still get to all his obligations and get different kinds of trainings (IE Strength and Cardio) per day. Except it wasn’t, because it would have made him unhappy, so we took what was the best part of the schedule, looked at his goals and redid his schedule. Fitness is nothing if it doesn’t make you happy. I love the way I feel after I workout. I love that I feel better for the rest of the day knowing that I did something for myself. I love knowing that when I hit a certain number of workouts a week that I’m going to feel like I’m not being a couch potato. I love knowing that when I come in next time, I’m going to get BETTER at something. 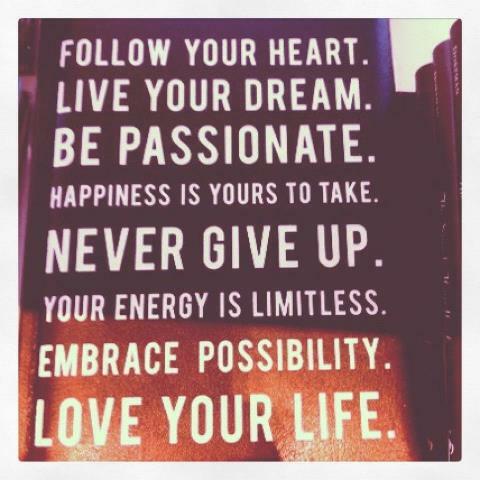 That I will work on MASTERY in SOMETHING in my life. Now you probably read that and think, Isaac probably works out all the time, there was a point in my life where I DID. Now, I don’t. Not because I don’t love to, but because part of becoming my own hero was being responsible for other people’s happiness. Making sure I studied enough, learned new things to help people. A training client of mine had surgery on her head and since then the scar spot was numb and she was getting headaches after every workout. The week before I had learned about cerebral arteries and the release for those, a brand new release that if I hadn’t gone to Portland that weekend to learn, I wouldn’t have known. Well I treated them along with some other things and she was headache free after workouts. That felt freaking GREAT! Knowing that I put work in and it paid off, but also if I stayed in the gym and lifted two hours a day six days a week that would never happen. So these days I spend about 3-5 hours TOTAL a week working out. I would love to do more, but it’s not in my hero path right now. Taking things from one bucket and putting them into another but making sure each one has enough. Spending time with my girlfriend is important, so I drag her to the gym with me ( I don’t tell her what to do, just to do it heavier, ahahah). Talking about fitness, having people willing to listen, being able to help people with therapy, being able to encourage someone, these all make me the hero I want to be. Part of you wants to do something HEROIC, maybe not treating brain arteries but something that requires taking a look at and saying, what does my heart desire? So listen to THIS kick off presentation I did for the transformation seminar. Coach Melissa was nice enough to record it for us and put it on her podcast site.